The Recanati Winery is tucked away in the Industrial zone of Emek Hefer – a lovely town some 5 kilometers south of Hadera. The winery was built in 2000 by a group of oenophiles that were looking to build a world class winery to produce kosher wine that would truly compete on the world market. To this purpose they invested in a winery whose equipment is state of the art and a have access to a set of vineyards that are situated in the most envious of locations around Israel. The vineyards are spread throughout Israel’s wine regions – Upper Galilee, Judean Hills, Samson, and Shomron, and are closely monitored to extract the features that each region has to offer. We appeared on a brisk Monday afternoon and were met by the current winemaker – Lewis Pasco. Lewis is a well known wine maker in Israel. He studied in UC David and from there went on to work in many prominent wineries – including Tishbi Winery and others. He joined the winery at its inception and has been there – ever since. However, he recently gave notice to the winery that he will be moving on – to pursue other opportunities with Israel or maybe abroad. Meeting Lewis helped us to see the real success behind the Recanati brand and wines. For sure there is selling in a winery, along with marketing and such. However, Lewis says that Recanati is more about the wine and less about the bluster that wineries tend to display. The visitor room is a great example of that; it is a very nice spot within the winery, with awards and wines lining the walls. But it is not screaming look at me and the winery itself is inside the industrial zone – with a quiet external face – all very reminiscent of the winery’s approach to wine making – which is let the wine talk for itself. Lewis was a highly accomplished chef before he turned his sights unto wine making – and his wines are a image of his tastes. They are not the California power houses, with exception to maybe the Special Reserve and Shiraz. That is not to say the wines are lacking – wine is not all about noise and attention grabbing oak. It is about balance – and all of Lewis’s wines are complex with balance and just enough show to tell you they are there – without stealing the show of what is going on in your palate. Even in the vineyards Lewis is of the opinion that the vines need not be managed to give out more fruit or that jammy flavor that seems to be popping up more and more in wine. Lewis’s vineyards are an envy of many a wine maker, and Lewis makes sure that just like his wine – the vineyards are not managed, but instead – kept to bring out the vines true and real potential. We conversed about many a thing – mostly the wine but other topics as well, and one of the thoughts that keep popping up when I talk with owners or wine makers in Israel is marketing. Recanati does little marketing – letting the wine and their loyal fans take up the word for the winery. 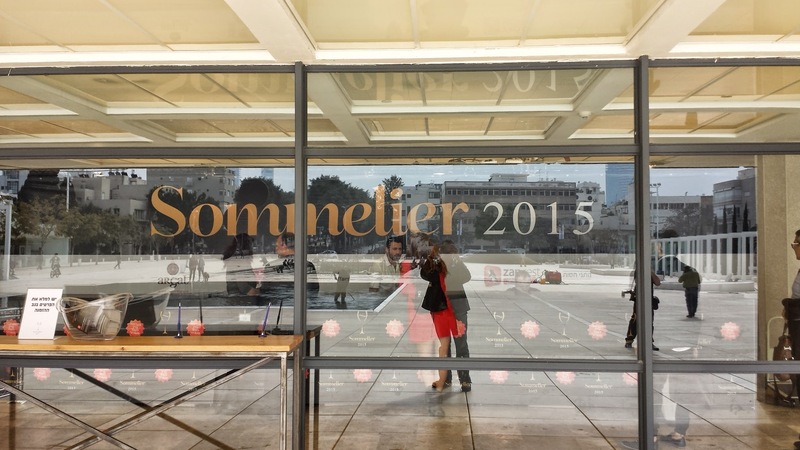 But with the current expansion of wineries within Israel and the global kosher wine market growing at a nice clip – how does one make sure that the consumer knows what varietals each winery has to sell them? Marketing outside of Israel was a constant topic of discussion and one that I think Israel must solve on a whole – not on a one off manner that most wineries are attempting to do. Our time spent with Lewis was a real education – and we want to thank Lewis, Noam the CEO of Recanati – who stopped by during our visit, and the the entire winery for hosting us and showing us such a wonderful time. Following are the tasting notes which we sampled at the winery. This wine that was aged in a mixture of American and French Oak for 8 months has a red to black color. The nose has oak and dark fruits that peek out from under the assault of the jammy aroma. The medium bodied wine starts floral and then at the mid palate changes to plum and and black berries. The structure is balanced with soft and integrated tannins. The grapes for this wine come from the Manara Vineyard in the Upper Galilee (750m). This wine that was aged in a mixture of French and Hungarian oak for 15 months has a medium to garnet color. The nose of this wine hits you with grass and floral aromas, with hints of oak. This medium to full bodied wine starts with green flavors that carry over from the nose and follow with floral notes wrapped in a blanket of berries and oak. Soft tannins and just the right amount of acid balance this wine out quite nicely. 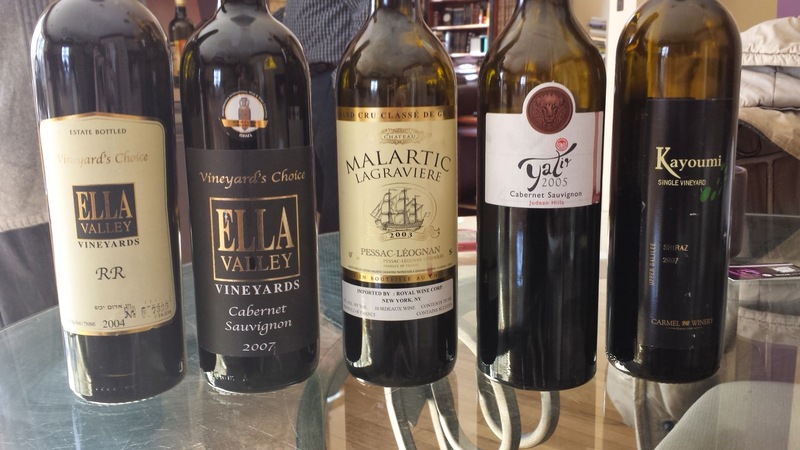 The grapes come from the Upper Galilee and were aged in French oak for 15 – 18 months. The color of this wine is dark red. The nose starts off with green and floral aromas but continues with cherry and berries. The medium to full bodied wine palate continues where the nose left off. The berries and cherry notes caress your mouth and finish with a long flourish of green notes and sweet wood flavors. The grapes of this dark to black colored wine come from grapes grown in the Jezreel Valley and the Upper Galilee. The color comes from the Petite Sirah’s black colored grapes. The nose is filled with green earthy aromas and hints of berry, cherry and oak. This full bodied wine has strong structure that needs time to mellow out. The body shows jammy flavors, tar and a fair amount of oak. The finish is long and satisfying wrapped in tannins and black fruit. The grapes for this electric straw colored wine come from the Manara and Ben Zimra vineyards. The nose is strong with lychees and honey suckle. The mouth is round with citrus flavors and lychees. The finish is medium to long with just enough acid and oak to balance out the wine quite nicely. This pink colored wine has all you want in a rose. Lychees, and cotton candy steal the nose. The mouth of this light to medium bodied wine is very active and crisp. Green and herbal notes come through the curtain fresh berries and finish with a satisfying flourish of berries and lychees. This wine needs time to open up my friends! Lewis opened this bottle and all we could smell was green. But as it opened up the merlot (8%) and cabernet (92%) came through. The nose started to open with notes of black fruit, blackberries, and oak. The mouth of this full bodied wine is heavy with tannin still and will lie well in the cellar for some time to come. The tannin gives way to cassis, blackberries and more oak. The finish is long with hints of chocolate and dark fruit. This purple colored wine has a nose filled with green vegetation and dark fruits. This medium to full bodied wine opens with dark fruit, cassis, and cherries. It follows with biting tannins and has a long finish of tar and oak. This red to dark wine has strong green to floral notes followed by cherry and oak. The mouth of this medium bodied wine is fruit forward, with grassy green flavors, and a long finish of oak and red berries. A real winner and one that truly shows the styling of Recanati wines – more fruit less bluster.